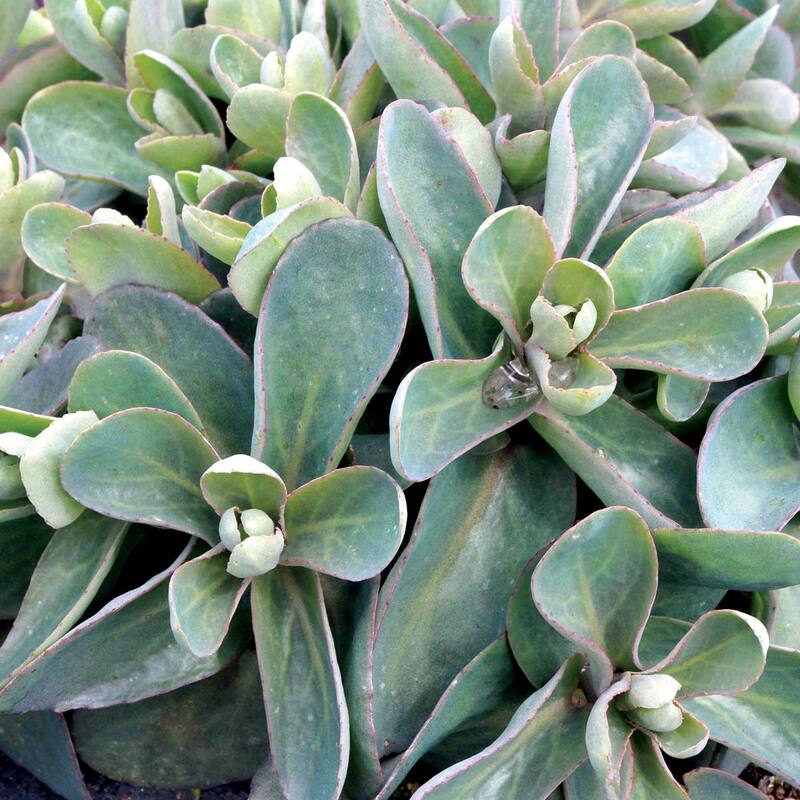 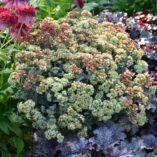 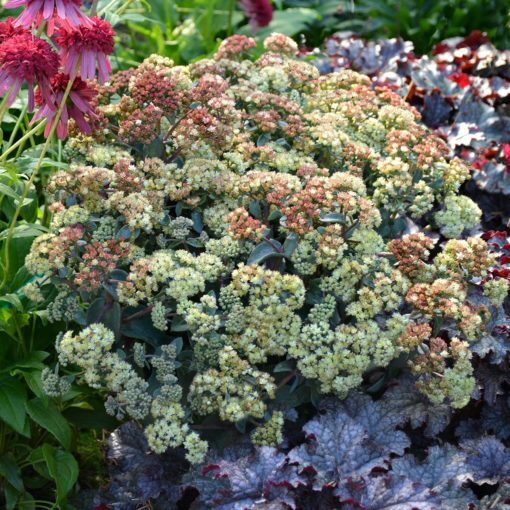 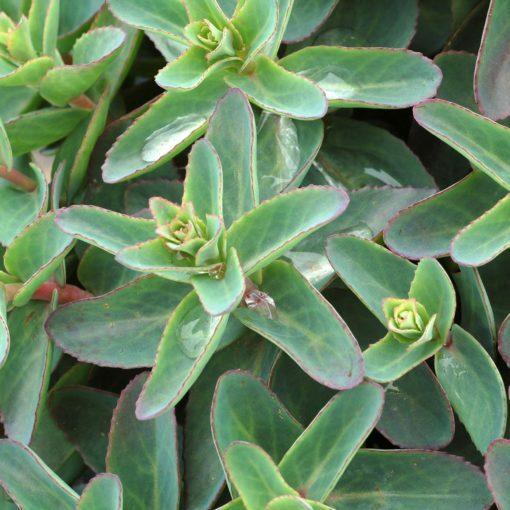 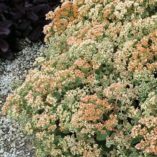 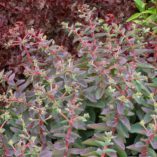 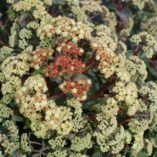 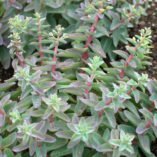 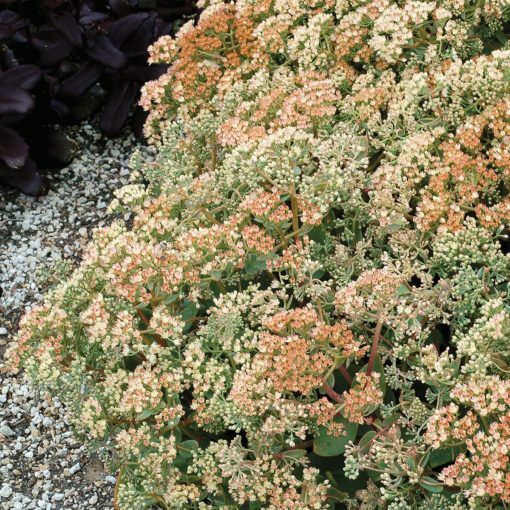 Sedum ‘Desert Blonde’ | TERRA NOVA® Nurseries, Inc.
A pleaser, with its blue-green leaves, short rose-red stems, and it forms multiple crowns its first year. 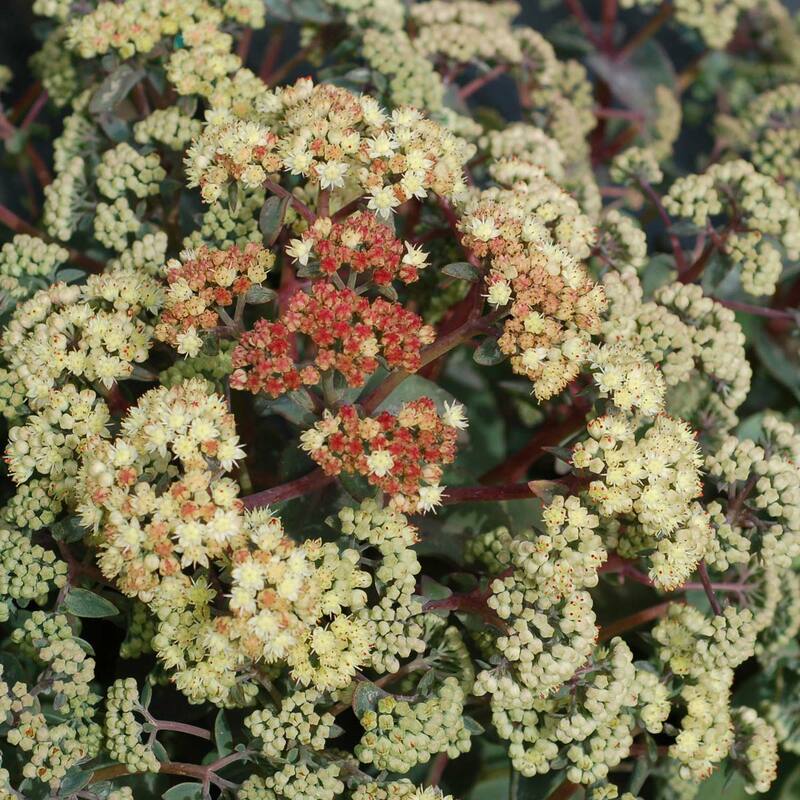 Its creamy yellow flowers mature to soft red seed heads. 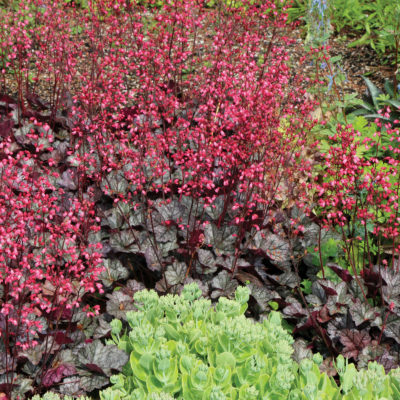 Bred for good container and garden performance. 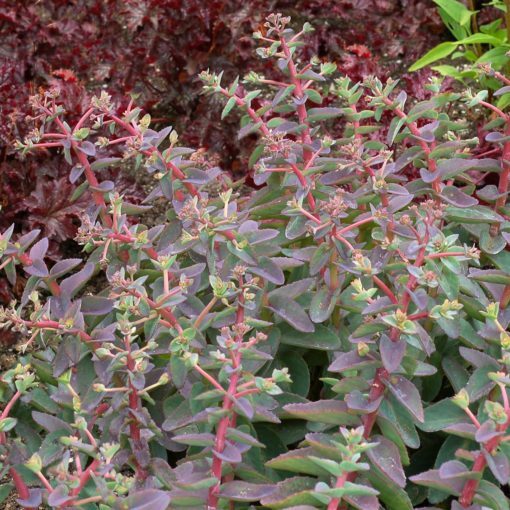 Compared to 'Yellow Zenox', it has flowers that are more yellow and larger leaves that are more blue green. 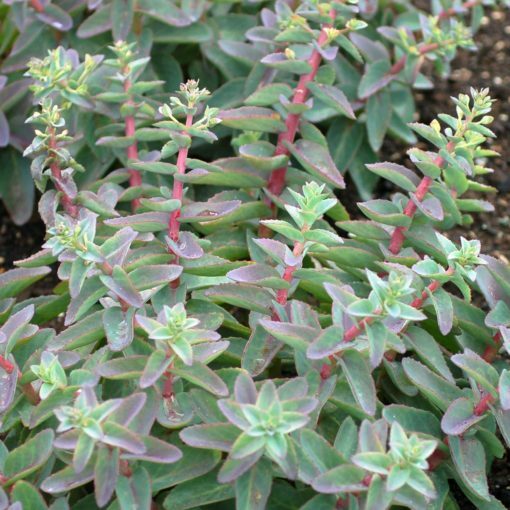 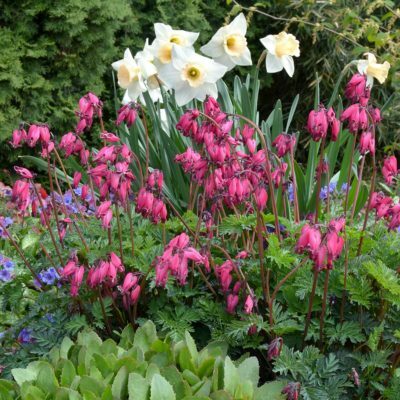 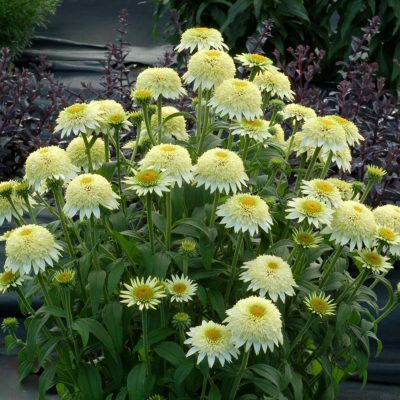 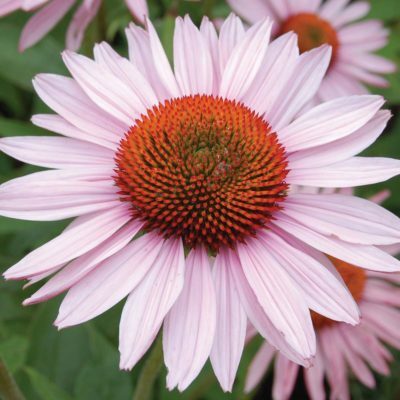 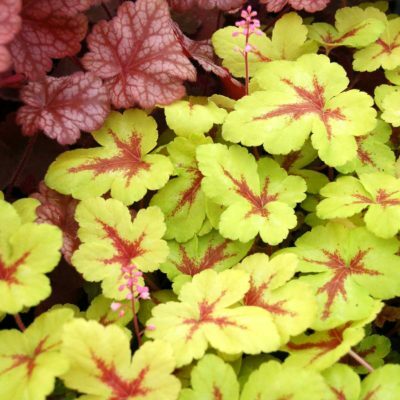 'Desert Blonde' has a multicrown habit with blue green, oblong leaves with rose red stems. Leaves take a purplish tint in summer sun.